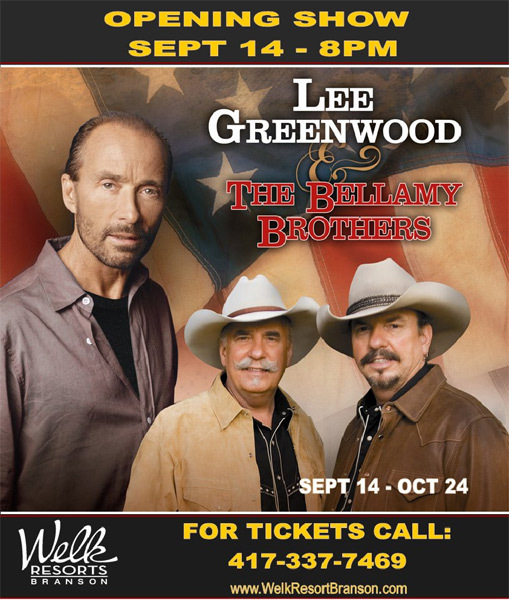 LABOR DAY WEEKEND FOR JERRY’S KIDS AT BRANSON LANDING! BRANSON, MO, August 28, 2009 – It’s a labor of love this Labor Day weekend at Branson’s premiere shopping and dining destination, the Branson Landing. Established in 2006, the Branson Landing continues its commitment to the community as a philanthropic supporter of a variety of local, state, regional and national charities. The upcoming holiday weekend will be filled with a host of family-fun, fundraising events and activities slated to support the National Muscular Dystrophy Association’s (MDA) Annual Telethon. crippling illness. Throughout the holiday weekend of events at Branson Landing, we will provide a way for the local community and tourists to get involved,” concluded Scholten. The three-day fundraiser kicks off on Saturday, September 5th with daily activities scheduled throughout the weekend, including food specials from Shorty Small’s with BBQ sandwiches and more in Town Square, Funnel Cakes on the Landing, Cotton Candy Kids, Ben & Jerry’s, Jammin’ Java, Branson Ridge Winery and more – all donating a portion of their proceeds to the fund-raising efforts throughout the weekend. Other weekend activities include huge inflatables provided by Monkey Moe’s. For a $1 to $2 donation, children can jump for Jerry’s Kids in Branson Landing’s Town Square. If you are looking for some adventure, take a sight-seeing cruise with Ride the Ducks, where “Riding a Duck Gives Jerry’s Kids a Buck” or jump on board one of the Branson Landing Cruises and enjoy Ozark Mountain Sightseeing Cruises on Lake Taneycomo aboard the Lake Queen Paddlewheel Boat or the Landing Princess. These locations at Branson Landing, will each be donating $1 per ticket sold on select days (Saturday through Monday) during the Labor Day weekend. In addition, the CBS television affiliate KOLR 10 with Anchor Tom Trtan, will be on property, broadcasting select events on Sunday and Monday, for local viewers to enjoy. Don’t miss the Labor Day Weekend Concert Series benefiting MDA & Jerry’s Kids, where we invite Concert goers, to “Take a Seat and Take a Stand Against Muscle Disease” by offering a special VIP Seating Section, with 250 chairs positioned in the amphitheater area in front of the fountains for stage level viewing of each concert. Participation is $5 – $10 a seat, per concert with 100% of the proceeds directly benefiting the local MDA Chapter and Jerry’s Kids. The festivities come to an exciting culmination on Labor Day with The American Kids. The American Kids are a “Little League of Entertainers” who share their talent of singing and dancing with their local communities. Join them as they “Dance the Day Away for MDA” to raise money for Jerry’s Kids. The dance-a-thon will begin at 10AM with performances scheduled throughout the day until 5PM. 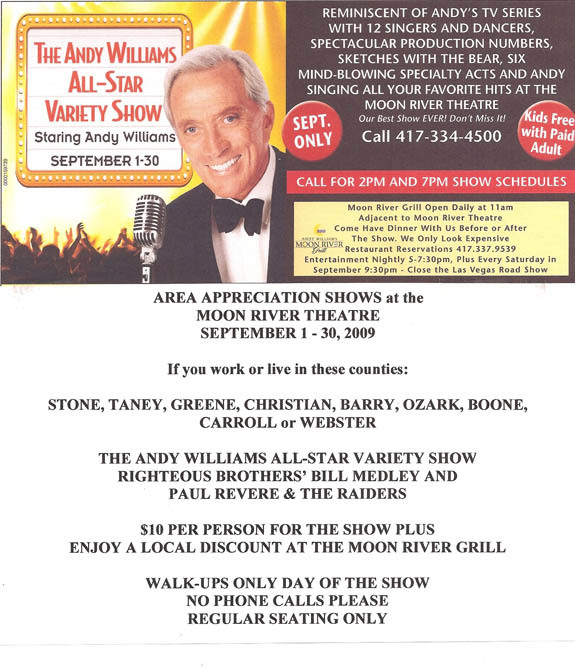 Join us at Branson Landing this Labor Day weekend for a fun-filled time in honor of Jerry’s Kids. For a complete listing of the Labor Day Weekend Schedule of Events benefiting MDA, visit www.bransonlanding.com. For additional information and a complete list of shopping, entertainment, dining and lodging options, visit the Branson Landing website at www.bransonlanding.com. Enjoy a weekend in the heart of the Ozarks with great music, food, and fun for all ages at one of the finest campgrounds the Ozarks has to offer! Enjoy and be a part of great jam sessions all day long! Meet some of the areas finest fiddlers as they conduct workshops throughout the day on their individual styles and techniques! New for ’09: Fiddle Workshop / Seminars by some of Branson’s finest fiddlers! George has released three solo recordings which have received numerous accolades and awards. He has won seven Pearl Awards from the FCMA (Faith Centered Music Association) including “Male Vocalist of the Year” in 2001, 2004, and 2005. 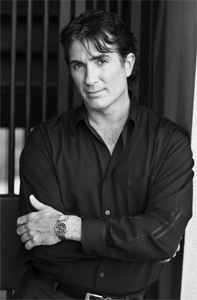 He has filmed two made-for-tv concerts in Jerusalem and starred in two live action musicals now available on DVD. To purchase tickets to the GEORGE DYER show, call the Dutton Family Theater at 417-332-2772, 888-388-8661. The wait is over for the return of the Gene Williams Country Television Show as fans came from as far away as South Dakota to be in the studio audience for the live taping of the first show featuring his co-host, Katie Lynn. Katie Lynn, Williams’ co-host, has received the Branson Entertainment Awards Best Support Vocalist twice for her work in the “Mickey Gilley Show.” She has worked with Gilley for more than eight years and also worked with Jim Owen for seven years. She is finishing her fifth CD release titled Me and Jesus Laughing. In addition to her singing career, she is a real estate agent. 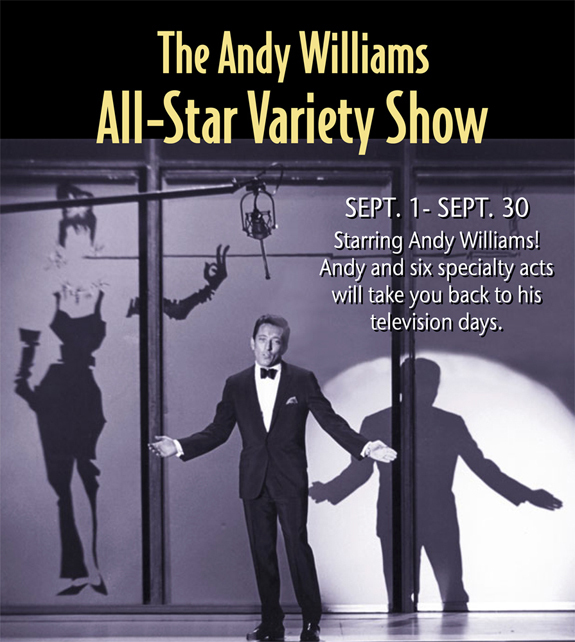 Williams will appear in person on Saturday, Sept. 19, at 6 p.m. at the old Music Mountain Theater, now the Horseshoe Bend Theater, with the “Music in the Mountain Show” and also Sunday, Sept. 20, at 1:30 p.m. at the George D. Hay Music Hall of Fame Induction in Mammoth Spring, Ark. The induction will also include Loretta Lynn and Grand Ole Opry star Mike Snider and a performance by Katie Lynn. Springfield, MO – The Greater Ozarks Chapter of the American Red Cross kicks off disaster preparedness month by bringing the power of Pluggy to the Branson area. Pluggy is a 3′ tall, robotic fire hydrant that teaches fire safety to children from pre-school on up. Children love Pluggy and some even squeal with excitement as he dances, raps and teaches important fire safety tips to help save lives. Volunteers will operate Pluggy in the lobby of the theatre about an hour before each show September 1 through September 5, 2009. Noah – The Musical at the Sight and Sound Theatre in Branson begins at 3:30 pm and 7 pm each day, Tuesday through Friday. Three shows are available on Saturday at 12:30 pm, 3:30 pm and 7 pm. American Red Cross volunteers use Pluggy to entertain and teach children fire safety tips. Do you have a master fire plan in your home? Do you know “stop, drop and roll”? Why did we change teaching this tip to children? Where is your safe meeting place? Did you realize that the #1 disaster for families in Taney and Stone counties is single family fires? Money raised will serve Taney and Stone County families. In the last two years local volunteers responded to 105 families with 322 individuals who had a devastating burn-out. Local volunteers arrive within 1 hour from the Fire Chief’s call, to first provide comfort to the family—a hug or a teddy bear to children in the family. Then they give comfort kits, food and drink for family and emergency response persons, and designated cash on a debit card for emergency losses. A benefit trout fishing tournament on Lake Taneycomo in Branson, Missouri, sponsored by Lilleys’ Landing Resort and Marina, 367 River Lane, Branson, MO, to raise money for the Branson Fire and Police auxiliary funds which help and support the Branson community.